Last month we went camping and birding north of Broome and headed into the Northern Territory in search of some bird species that we had not seen yet this year. It is a great time of year for camping and birding and we had not been beyond Timber Creek in the Northern Territory since 2014. Some of the bird species we had observed already this year and they were on the 2016 year list, but we had not been able to photograph several of them at such close quarters. 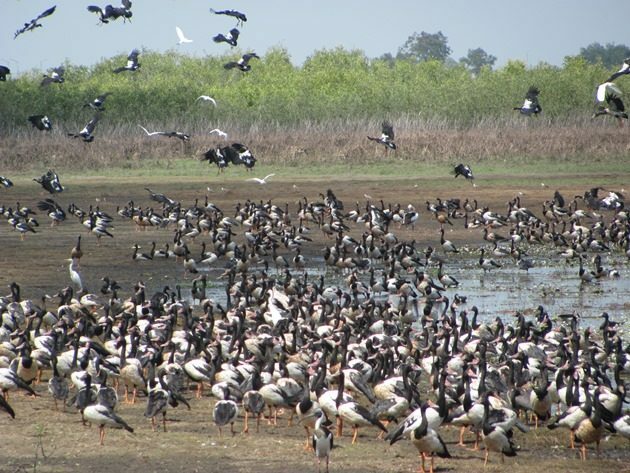 The header photo shows the typical spectacle of Magpie Geese and other birds at Knuckey Lagoon in Darwin in September! It is the sort of place you sit for a while to really see what else is there apart from the obvious Magpie Geese! 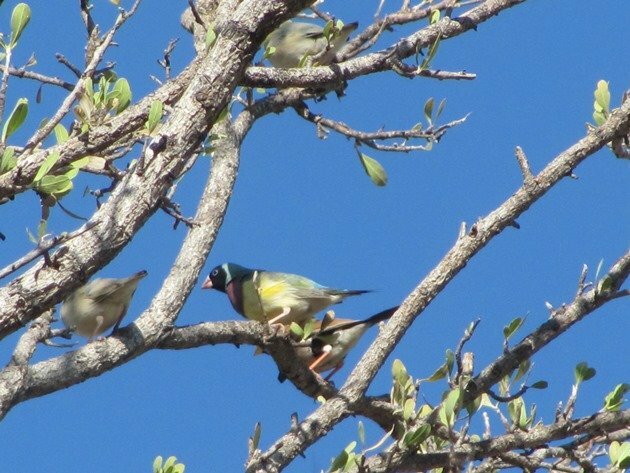 By the time we had reached Wyndham in the north of Western Australia we had encountered Gouldian Finches, but it was not until we were at a small billabong between Wyndham and Kununurra that I was able to photograph them. 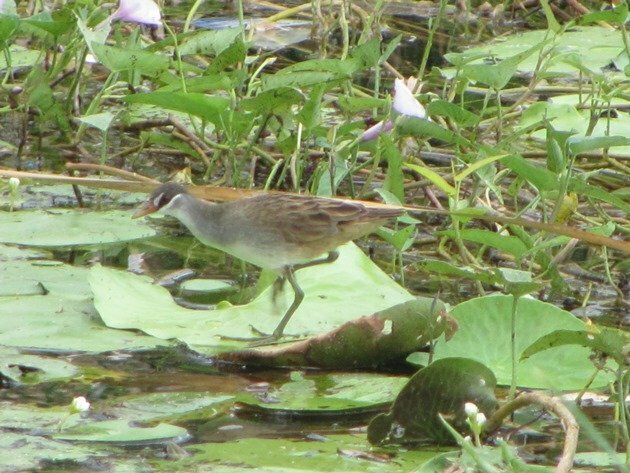 Kununurra was our next stop and we discovered White-browed Crake with young that were actively feeding at Lily Creek Lagoon. The day was unusually overcast for the time of year and it meant they were out and about right next to the platform where there is information about local birds! There were several Comb-crested Jacanas hopping around on the lily pads as well. 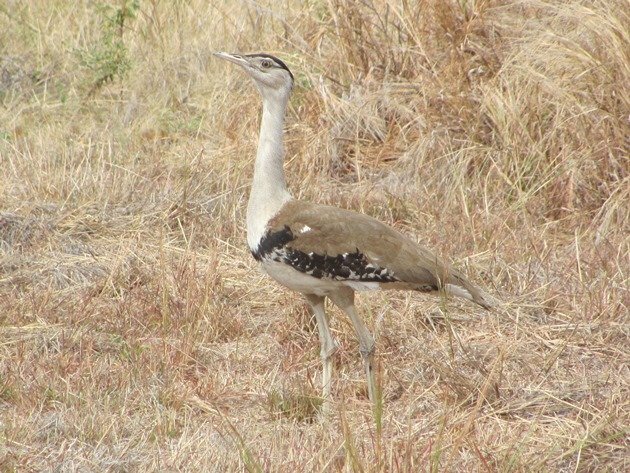 A very close encounter with an Australian Bustard near Victoria River Crossing was incredible as it walked out into the road through the long dry grass and shortly afterwards crossed into more dense dry grass giving me a brief opportunity to photograph it! 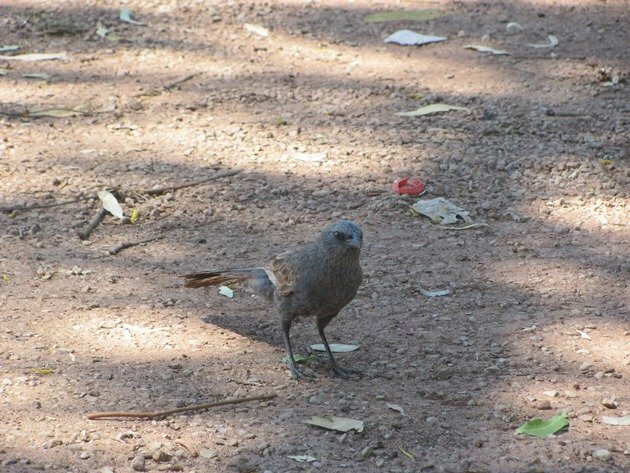 Continuing on to Katherine we soon encountered Apostlebirds in large groups in the centre of town and they were a welcome addition to the year list. They were also present in large groups around the King Rest Area to the south of Katherine and kept everybody amused with their antics! There are Apostlebirds in the northern part of the Northern Territory isolated from the main population down the east coast of Australia. 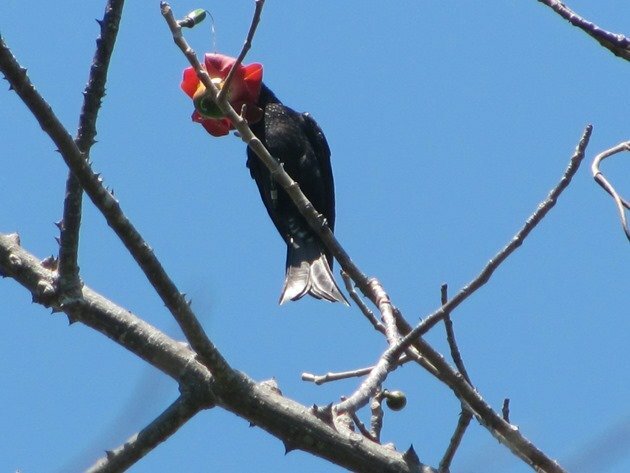 Every time we came across a Native Kapok tree-Bombax ceiba leiocarpum-we checked it for birds, because they have very few leaves at this time of year and the flowers attract some great birds! 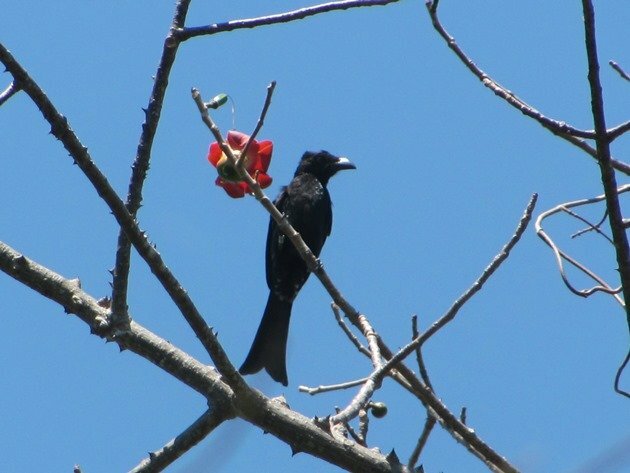 The Spangled Drongos were enjoying the flowers at East Point Reserve in Darwin and we also observed them at Fogg Dam in the forest. The fish shaped tail is always a nice giveaway! The Spangled Drongos were also very vocal, because they were in search of mates last month. 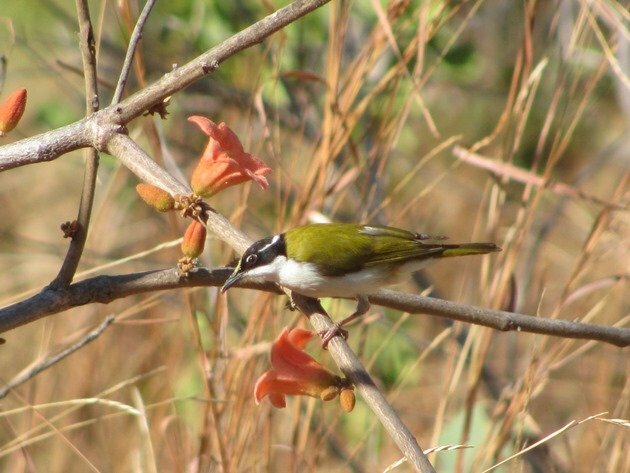 Other native flowers were attracting a variety of honeyeaters and one particular White-throated Honeyeater was rather obliging when I moved towards it to photograph it. Looking for Rainbow Pittas at Fogg Dam, Howard Springs Nature Park and Berry Springs Nature Park is always rewarding and all three locations produced them. 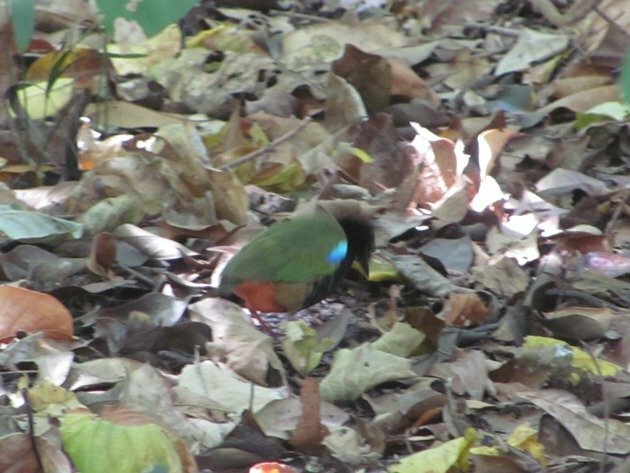 They are always busy feeding in the leaf litter and while the leaves are dry it is easier to hear and find them than when the leaves are wet and quieter. 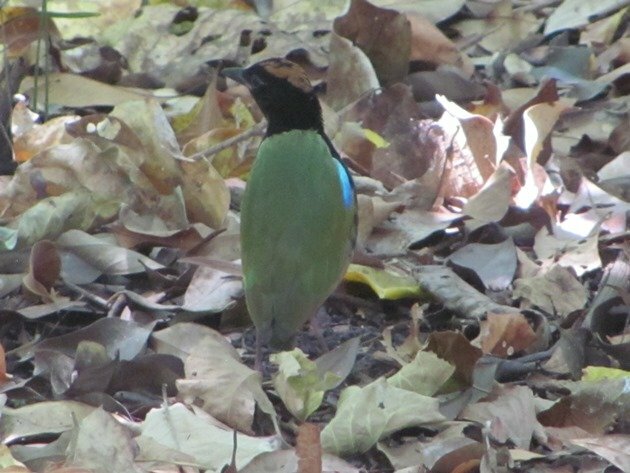 The only other leaf disturbance you may hear that may trick you briefly is the heavier footed Orange-footed Scrubfowl as it makes its huge mounds in the forest. There was plenty of Orange-footed Scrubfowl activity wherever we went around Darwin! Returning to Marlow Lagoon after a two year absence to see how it had changed was interesting. The Chestnut-breasted Mannikins appeared to have increased in numbers and were still in the exact same bamboo thicket beside the path! 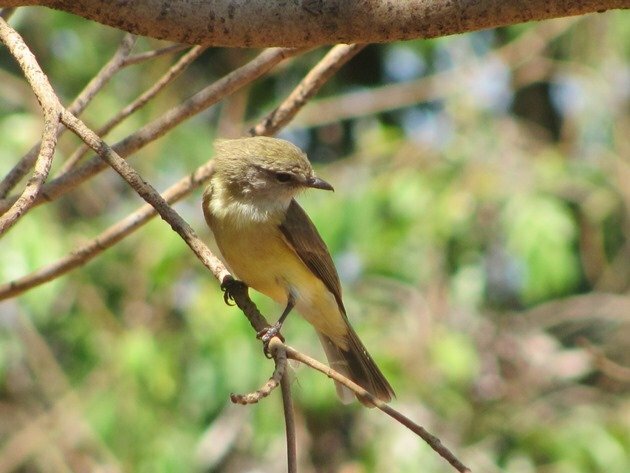 There appeared to be a lot more Lemon-bellied Flycatchers as well, so they have settled in nicely! One of our best birds for the trip was a Rose-crowned Fruit-Dove. Although they are distributed across the north of Australia and down the east coast they are easily overlooked! They choose trees the same colour as themselves and no doubt we have been observed by Rose-crowned Fruit-Doves a lot more than we have observed them! This particular bird I accidentally flushed from the ground and I saw exactly where it landed. 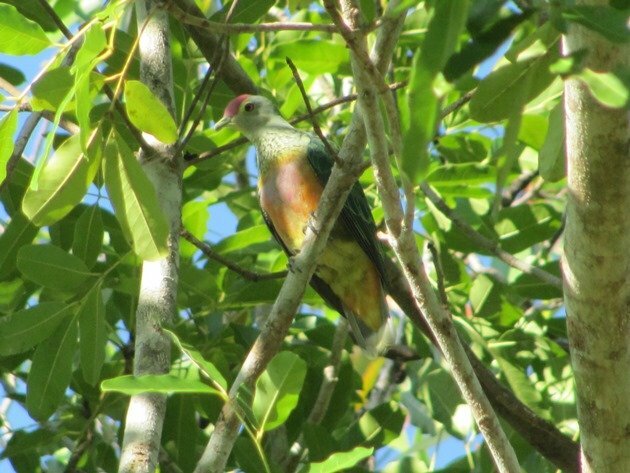 I was then trying to photograph the Rose-crowned Fruit-Dove and describe where it was so that Grant could see it too, because he had not seen the place that it landed. I think the camera got the photo about the same time as Grant realised what part of the tree was the bird! There are some great birds to be observed between Broome and Darwin and it is an area of Australia that we dearly love to explore! Whether you venture off in the Dry Season and have more access to the bush or wait until the Wet Season and are restricted to the bitumen you are still guaranteed some great birds! Such phenomenal birds, and great photos, too!